Eating out can be fun (or necessary) sometimes and Chipotle is one of the few places we will occasionally eat out. We love Mexican food (I even make my own taco seasoning) and it is relatively easy to find healthy food options there. Unfortunately, with a large family it is also pricey to go out to eat. Instead, I often make a copycat recipe of their burrito bowls at home. 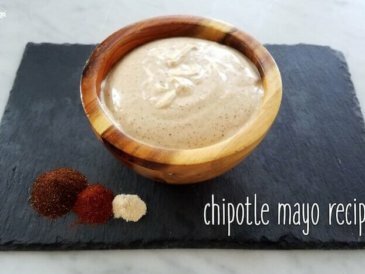 In case you’ve never had a burrito bowl, don’t feel like you have to rush out and try it in order to make this recipe. 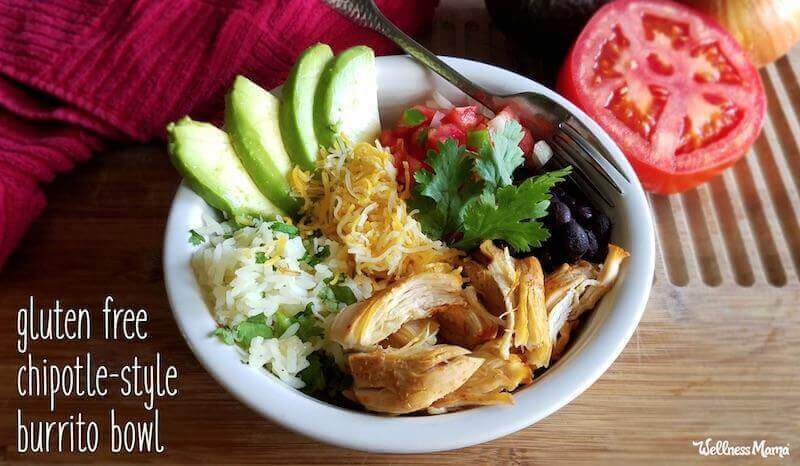 A burrito bowl is simply a layered bowl full of all the burrito ingredients normally stuffed inside a tortilla. Since I can prepare most of the ingredients ahead of time, it is still a fast meal without much prep. I chop tomatoes, make (or buy) guacamole, wash salad greens, and shred cheese so everything is ready to go when dinner time rolls around. 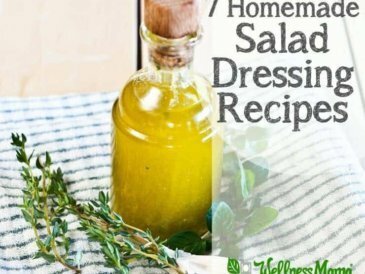 A fun part of this recipe is everyone can assemble their own meal with their favorite toppings. Everyone seems to enjoy it more when they can customize their own meal, especially my daughter who can easily eat two avocados worth of homemade guacamole! What Is in a Burrito Bowl? When we make burrito bowls I usually use chicken as the protein, but you can of course use beef, pork, shrimp, or anything that sounds good to you. 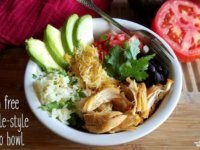 For chicken burrito bowls, I season the chicken breasts with cumin, chile powder, salsa, and lime and either bake them in the oven or cook them quickly in the Instant Pot. Or, pre-cook chicken ahead of time and store in the fridge to use later in the week for a quick meal on a busy night. Quick tip: All the ingredients left from our burrito bowls are delicious in eggs the next day. Use leftovers from dinner to make breakfast omelets the next morning, or to make lettuce wraps for a quick (and portable!) lunch. If you like Mexican food, give these a try! Preheat the oven to 350°F or get out the Crock-Pot or Instant Pot. Place the chicken on a baking sheet or in the Crock-Pot/Instant Pot. Sprinkle it with the cumin and chili powder. Squeeze the juice of half of the lime over it and pour ½ cup of salsa over it. Bake in the oven, covered for 1 hour or until done, or in the Crock-Pot/Instant Pot until done. 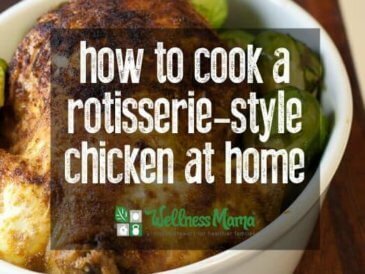 Shred the chicken with your hands or a fork and place in a skillet. Sprinkle with the cumin/chili powder, pour salsa over, and squeeze half of the juice of the lime over it. Saute over medium heat until heated. While chicken is heating, make guacamole (recipe here) or slice the avocados, wash and chop the salad greens, chop the tomato and onion, shred the cheese, get out the sour cream, heat up the beans, and make the cilantro lime rice if using. 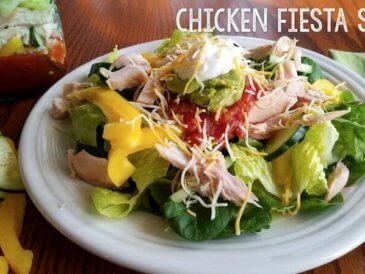 Serve the chicken atop a bed of lettuce with any desired toppings. Nutrition info includes black beans and rice. What do you serve on busy nights? 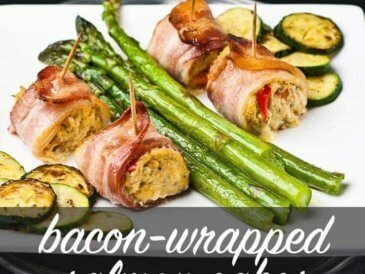 Have any quick go-to recipes? Share below!